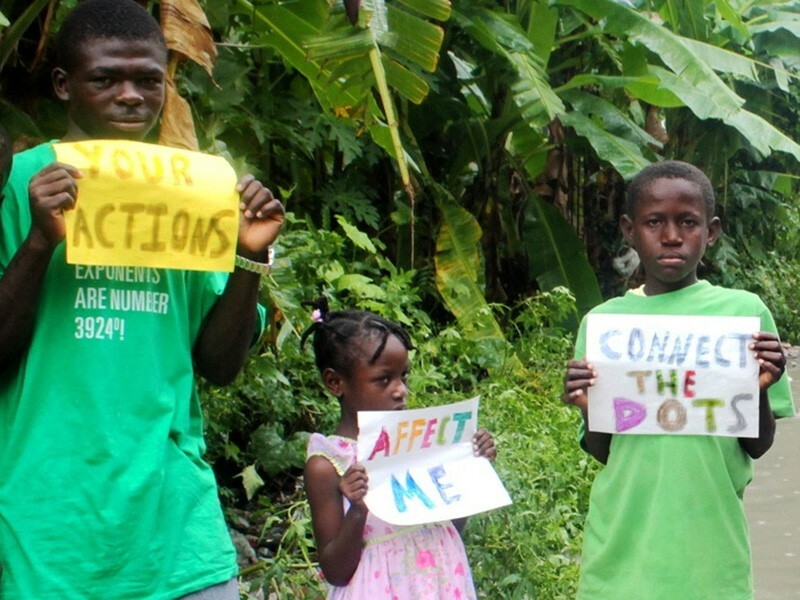 Pictured: Children in Haiti hold up signs urging the international community to take action on climate change. Formally released in September of 2014 at the United Nations Climate Summit, Tackling the Challenge of Climate Change: A Near-Term Actionable Mitigation Agenda was commissioned by the Republic of Nauru, Chair of the Alliance of Small Island States (AOSIS) and written by 30 leading climate and energy experts from around the world. PHOTO COURTESY OF 350.ORG for EarthJustice.org.